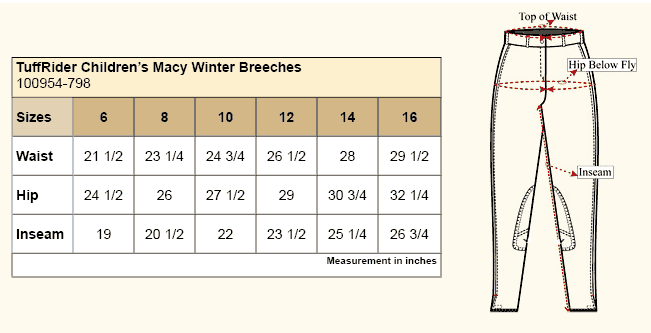 Children can wear great looking breeches even during winter with TuffRider's Children's Macy Winter Breeches. Styled with comfort in mind, but also with attention to performance, these children's winter breeches include faux fleece lining on the inside for a soft, warm feel and a polyester/spandex mix for freedom of movement. These breeches are also incredibly fashionable with stylish touches such as the silicone seat made with a horseshoe pattern and the contrasting peach color on the pockets and sock bottoms. Children will adore these winter breeches that are warm, but flexible.